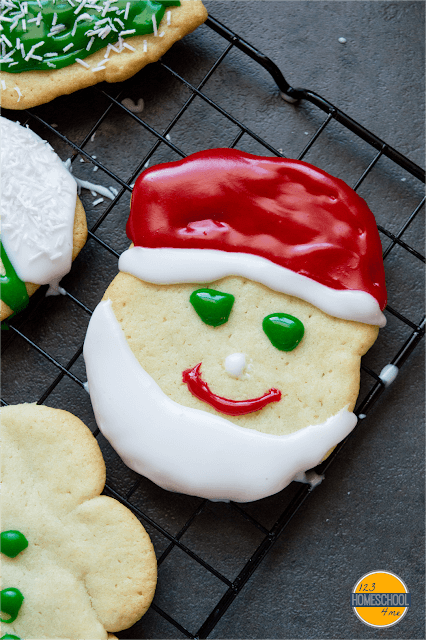 These sugar cookies are the absolute best cookie recipe you’ll ever make. They will melt in your mouth! These are the perfect Valentines Day, Christmas, or any day cookie recipe that will taste as good as they look! These cookies will literally melt in your mouth! They are delicious frosted or cookie a couple minutes longer and eaten plan with a slight crunchy. Preheat oven to 375 F. Blend together powdered sugar, softened butter, egg, vanilla and almond extract. Next, stir in baking soda, cream of tartar, and flour. You will have a dry dough. You can refrigerate for 2 hours if you want easier to handle dough and have the time. If not they can be rolled out right away. Dust your counter with powdered sugar or flour. Using hands squish dough together and then place on prepared counter. 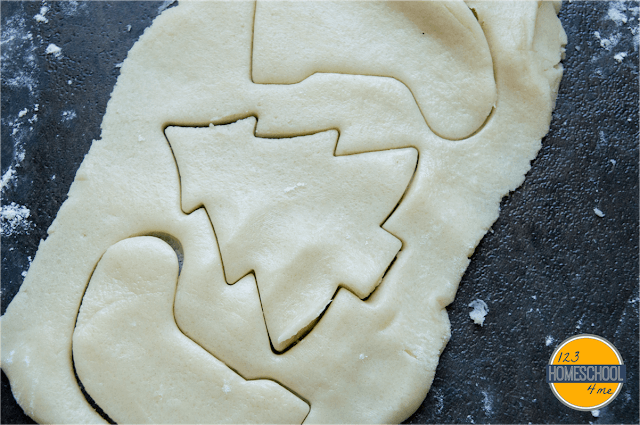 Using rolling pin to roll out cookies – keeping dough nice and thick (1/4” thick) for soft cookies. After 5-6 minutes carefully remove and put on wire racks to cool. As they cool, whip up some homemade icing by mixing together 2 Tablespoons softened butter, 1/2 teas almond extract, and 3 cups powdered sugar. This will go on smooth and set up nicely to form a dry to touch smooth icing. These sugar cookies when rolled out thick, only cooked for 8 minutes, and frosted are so soft they will melt in your mouth. They have the best flavor!! 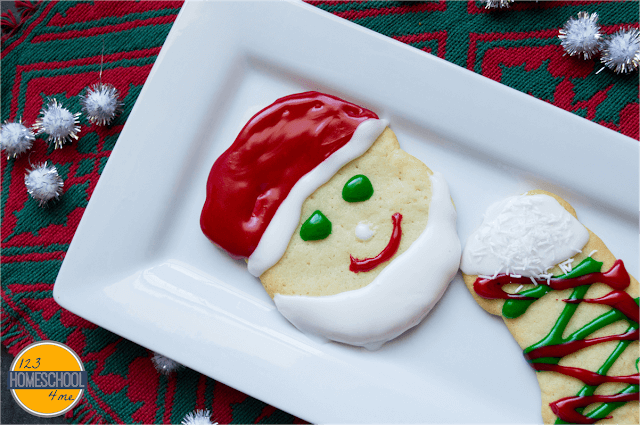 These cookies are fun to decorate and make the perfect cookie to bake with kids! 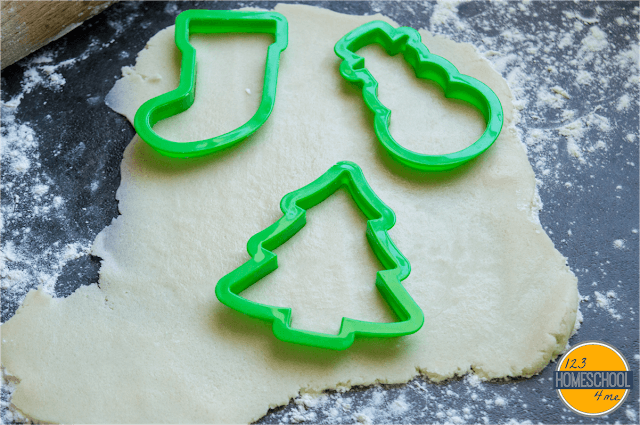 Depending on what cookie cutters you use this recipe is perfect for Christmas, Easter, Valentines Day, St. Patrick’s Day, summer, fall, winter, spring, or for fun themed preschool units! 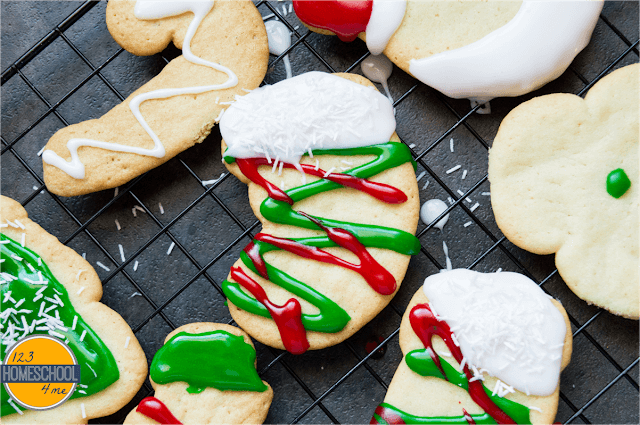 These sugar cookies are the absolute best cookie recipe you'll ever make. They will melt in your mouth! 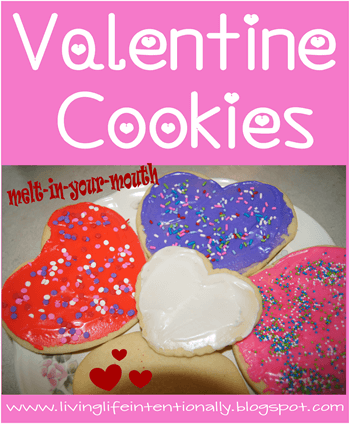 These are the perfect Valentines Day, Christmas, or any day cookie recipe that will taste as good as they look! 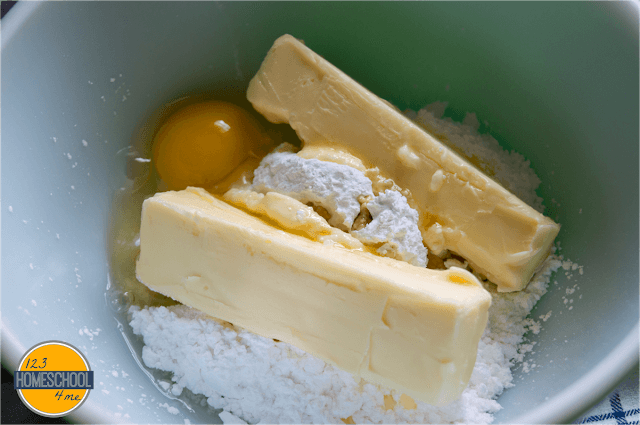 Blend together powdered sugar, butter, vanilla, almond extract, and egg. Dust your counter with powdered sugar or flour. Using hands squish dough together and then place on prepared counter. 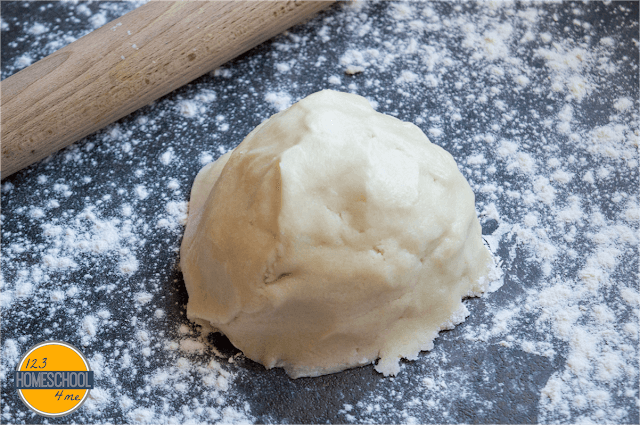 Using rolling pin to roll out cookies – keeping dough nice and thick (1/4” thick) for soft cookies. 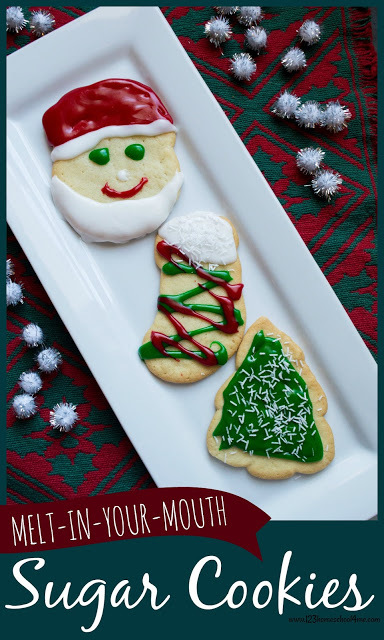 Cut out and place on cookie sheet or parchment paper lined cookie sheet. Bake in preheated oven for 8 minutes for soft cookies, 10-12 minutes for crunchier cookies. Do not remove from cookie sheet until set (they may not look done at 8 minutes, but they are!) After 5-6 minutes carefully remove and put on wire racks to cool. 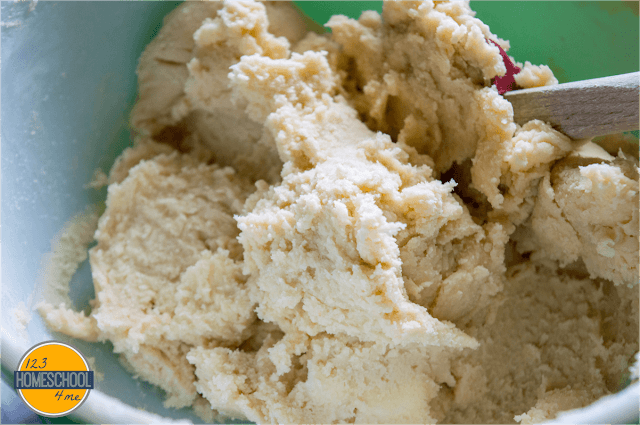 To ice mix 2 TAB softened butter, 1/2 teas almond extract, and 3 cups powdered sugar. This will go on smooth and set up nicely to form a dry to touch smooth icing.